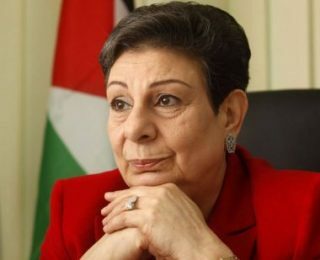 PLO Executive Committee Member Dr. Hanan Ashrawi, on Wednesday, said that the Israeli Knesset bill limiting Palestinian access to Israel’s High Court of Justice is an assault on Israel’s judiciary and Palestinian rights. “This bill is a direct blow to the judicial system and constitutes an attempt at depriving Palestinians from any legal appeal,” Ashrawi said, in her statement. Ashrawi said that, if it becomes law, this dangerous move will limit Palestinian access to Israel’s High Court of Justice; Palestinian victims would be forced to submit their cases to an Israeli district court regarding building and land disputes. Israel’s ‘Justice’ Minister Ayelet Shaked has made it clear that, with the bill, she hopes to normalize the status of the occupied West Bank as part of Israel, and grant its illegal and extremist settler population the same rights as Israeli citizens by allowing them access to standard civil and criminal legal proceedings. “Clearly, this represents another serious step in the creeping annexation of the occupied West Bank,” Ashrawi commented. “Such legislation would guarantee impunity for Israel’s flagrant violations and war crimes and would deny the Palestinians their right to seek legal recourse,” she added, according to the PNN.